How many of you HAVEN'T visited CNET Asia for the latest tech news and gadget reviews? If you haven't then I fully recommend it for the best reviews and priceguides which are relevant to us, since Singapore's just across the pond. 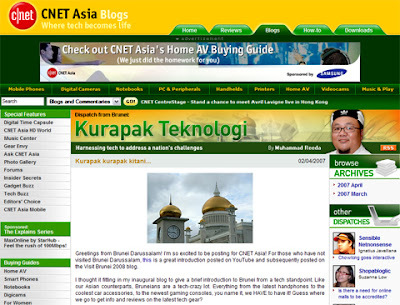 Feel free to send me ideas and suggestions for posts on Kurapak Teknologi which are tech oriented and relevant to Brunei!